Update: these benefits have been extended through December 31, 2019. Today I received a press release noting that the Disney Springs Resort Area hotels will be gaining access to Extra Magic Hours beginning January 1, 2018, and, those “who have booked a Walt Disney Travel Company package including a stay at one of [these] hotels, and theme park admission” with a linked, valid theme park ticket, can make FastPass+ bookings at 60 days beginning January 10, 2018. While there has already been much concern–even panic–about the impact of these ~3,700 rooms gaining access to these Disney World perks, the overall increase in rooms with access to these benefits is only about 15%. 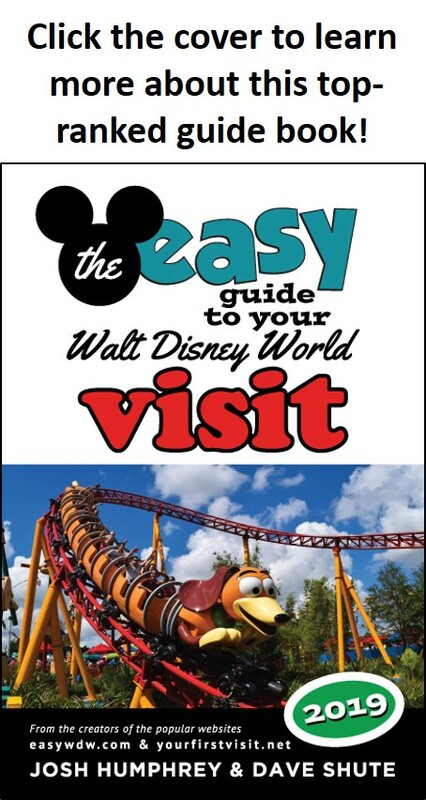 Note that in addition Steve Bell has reported on MilitaryDisneyTips.com that Shades of Green guests also now have access to FastPass+ at 60 days, and so do guests at the Four Seasons. So what I expect is that what was already hard—for example getting FastPass+ for Flight of Passage or Seven Dwarfs Mine Train—will get a bit harder, and what was already crowded—evening Extra Magic hours and morning EMH at Animal Kingdom—will get a bit more crowded. But I don’t expect a huge change from the expansion of these perks. I speculated a month ago about this possibility and what might be the thinking behind it. What we’ve seen—so far—is just a subset of the hotels that were rumored to possibly be part of this plan. The long-time travel agent partner of this site, Kelly B., can help you book your Disney World vacation at a Disney Springs Resort Area hotel or anywhere else–contact her at KellyB@DestinationsInFlorida.com or 980-429-4499. Dave the military community is leading the way in this new territory. We’re working out all the bugs, and there seem to be quite a few with non-Disney resorts joining in on 60-Day FastPass+. Hopefully they will all be worked out by the 1st! Yeah Steve, I’ve been following the problems folks have been having in the comments on your post. A pain–but it is still a nice problem to have for our friends staying at Shades of Green!